Movements around the world and throughout history, unfortunately, have been dominated by men. In the United States, we hardly see faces of women in any movement, except feminism, objectivism, and, to a certain extent, the civil rights movement. In Europe, for long, we thought about the absence of domestication of foreign cultures. Unlike the United States, for instance, African immigrants in Europe appears to assimilate completely with European culture. Never have we heard a European counterpart of African-American culture. This was until recently, when we seemed to have been proven wrong. The name Zap Mama, and its singer/front runner Marie Daulne, is definitely not foreign to us. We’ve talked about her quite frequently within our internal meetings. Our sister web radio, Vox De Cultura, had also played her music. It’s hard not to, taking into account her interesting background and the diversity of sounds she has in her music and of people in her band. Born in the jungles of Congo, her father was Belgian and her mother Congolese. Her father was assassinated by local rebels a mere few days after she was born, forcing her mother to bring her over to Europe, where they settled in Belgium. Later in life she traced her roots back to Congo to rediscover the land’s music. The beginning of the song ‘Rafiki’, for instance, has her playing a local Congolese instrument. Zap Mama is a proponent of the so-called Afro-European or Afropean culture. Not only is she a proponent, she actually coined the term for the media. We were fortunate enough to catch her intriguing performances during this year’s Java Jazz Festival in Jakarta. While we didn’t get a chance to interview her live, she was kind enough to give us an interview through email afterwards. Surely enough we took this opportunity to ask about Afro-European culture, along with her views on life and music. In an interview with Music Vault, you mentioned that you, in a way, represent Afro-European culture. Does that exist? Let me answer in English, but it’s not my native language, so sorry for any mistakes. Yes, it does exist. You probably know about the Colonial history of Belgian Congo. As you know for Indonesia with the Netherlands and England, (then there is) France and West Africa, Nigeria and England, etc. After the 60s, most of these African countries became independent. People merged and families were created. Artists exchanged and shared Ideas and creativity. Admiration on both sides of the culture created new genres. The 80s had Salif Keita, Youssoundour, etc. I grew up in this environment. It’s why Zap Mama was born. I named the movement for the media because nobody did it. I used my success for the media. We existed in European, especially France, England, the Netherlands, and Belgium. We sang in French, English, and Spanish, but at the same time loved our roots in African music. The Afro-European represents Afro-descendant Community. I designed some fashion costumes and make up for Zap Mama, mixing African traditional accessories and fabrics with European. See the video for BRRRLAK and the attached Zap Mama’s first Afropean cover*. At the same time, during the 90s, the Pan African culture started to become more prominent. The MEDIA started to talk about it. Intellectuals wanted it to be present in the international media. 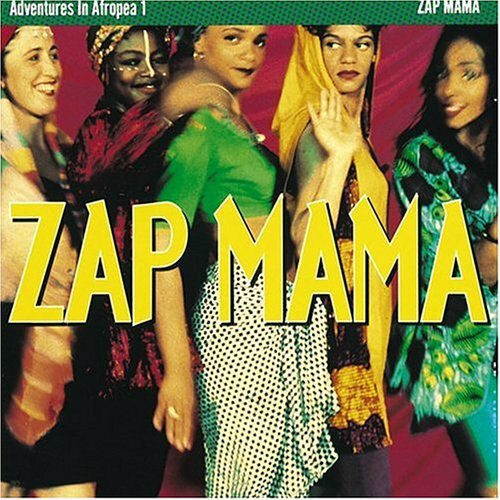 The Afro-American culture loved Zap Mama right away. It seemed that Zap Mama arrived naturally in the perfect time and place period. People started to discover a big movement of world music with plenty of artistry in music/books/fashion started to be released. 1994-6 Hip hop culture was interested to open their sound to the Pan African culture. The Roots (Hip hop music) produced the beat for Zap Mama ref: “Rafiki”, along plenty of other artists. We finally have a voice. In 2000-2004, I made an album where Afro-American meets Afro-European called Ancestry in Progress. In 2010, the Afro-European movement was fully accepted and it (evolved into) today’s Afropunk movement. The song “For No One” talks about dealing with the moralities, or lack thereof, of city life. The song was released in 1994. Do you think the message of the song still applies today as it was when it was released? In other words, are we still living in an ‘illusion’, as mentioned in the song? It is not, and illusion is a reality and people can be blind and lose the control of their mind. I kept myself away from It until I was strong enough!!! I kept a lot of my freedom. I sang ”for no one”. It has been 20 years now since i recorded that song. I started my adult life in that period, the late 70s until mid 90s. The Multinational industries used plastic in all products. Consumption was everywhere!!!! Since that period, big alert was on the media as pollution made kids suffer from allergies. Conscience has changed people to become more concerned toward nature, but we still need to make sure that a maximum number of people hold such a conscience. Until then, we will have to keep singing this kind of lyrics, to fight poverty. Communication modes today change people all over the world. We can now realize and communicate and help one another. We can (therefore) move to another level of consciousness. As a musician with diverse background, both ethnically and in terms of living and learning experience, what is your take on the current wave of resistance toward a borderless world? Does it affect your music? That is all the message of my music. I sang a song named “India” in my first album where I sang in Indonesian. Do you think this will help in the search for the so-called 21st century sound? It seems that my work still has an impact because it was pure voices. People recognize a soul, not a genre, and there is a longer life for that type of composition. Are you interested in discovering this 21st century sound? Or do you have a different goal in music? Human beings always for centuries sing the same message. It is only the sound that changes. I love it. I would collaborate with the new generation. I love it. We want to connect this with the whole notion of world music. Many would consider you as being part of this genre. The 1980s and 90s saw the rise of world music, including the rise of WOMAD. Do you think this big break of world music will make a comeback soon, especially as a reaction to the current world situation? I think a new genre will come and I’m very excited about it. I met some new generations and created a track with them. In the beat box world, there is a tendency to do some interesting new discovery influenced by polyphonic, polyrythmic, and electro. Listen to the attached track, it’s pure sound of breath control, no instrument!!!! Purely voice and beatboxing. Do you think world music can be a remedy for the current world situation? So who inspired Zap Mama in the beginning? We know you are a mix of many different styles, from polyphonic singing, to jazz, hip hop, etc. But as a child of multicultural background, especially back in the 70s, to find a figure to relate to was probably more a challenge than today, as they were rare. So who were your first inspirations? It is my social context that influences me the most. Everyone has a voice to be heard and I heard some voices that I recognized in me as a woman or a girl, as a human being who is part of western and third world countries. And I create the soundtrack of my everyday life like a bird starting the day on the first sun ray. What is next for Zap Mama? I took a break for seven years after serving the music business for 25 years. I have plenty of new music. I will release single by single and the full album at the end of the year. 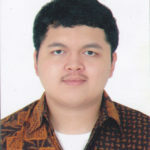 It’s around beatbox, back to the new acapella genre. The dance acapella song attached is “Baby”. Featured image at the top of the page is a derivative of “Marie Daulne en concert au Paris Jazz Festival, parc floral de Paris“, a work published on 12 July 2008 by Pkobel, uploaded to Wikimedia Commons where it was obtained, with slight crop, used under CC BY-SA 3.0. We therefore release this work under the same license.